Click flyers for more information or to purchase tickets. Tickets: $35, click here to purchase tickets. Click graphic to purchase tickets! No registration required. First come, First Access. If you eat at the restaurant for dinner, you get early entry. Reservations can be made on Open Table via their website. Min $10 donation to our non profit. Travel the DIASPORA through a culinary adventure. All plates $5. Free admission. Free history tours. 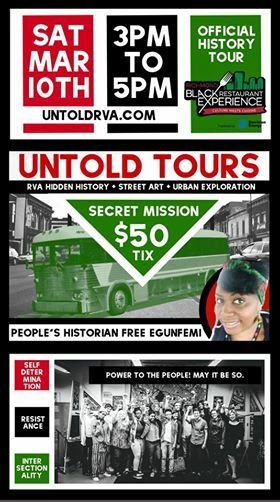 Presented by Untold RVA. Click image for ticket link. iPower 92.1's Jackie Paige and DJ Nobe bring you, Zumba and Cocktails. Tuesday 3/4 from 7-9p in the Urban Hang Suite. Music provided by DJ Nobe. $20 includes class and a $5 credit to UHS for cocktail. Come and have A Seat at The Table and enjoy a Diner Party Social. 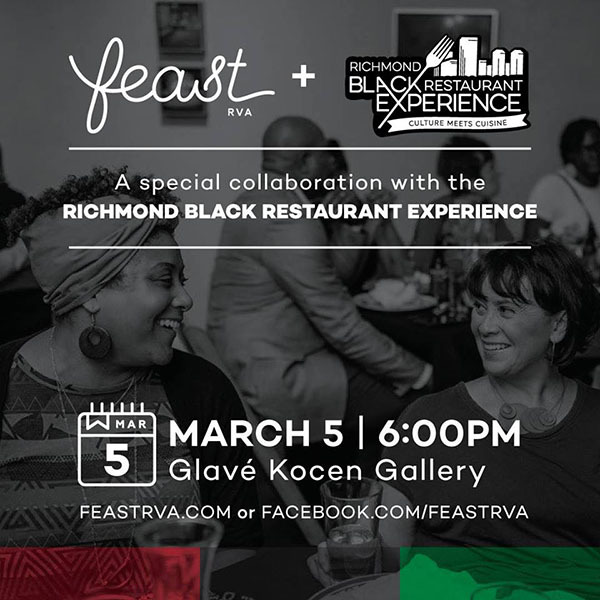 As part of the RVA Black Restaurant Experience, LadyDae Events has a phenomenal food and cultural experience planned for RVA. 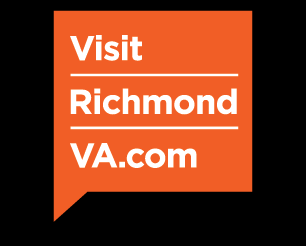 LadyDae Events is a Richmond based event planning and promotion company on the rise and they have partnered with Boogaloos Restaurant to bring you the ultimate dinner party experience. With the purchase of your tickets each guest will be able to sample ANY two menu items and choose between a house drink or beer. 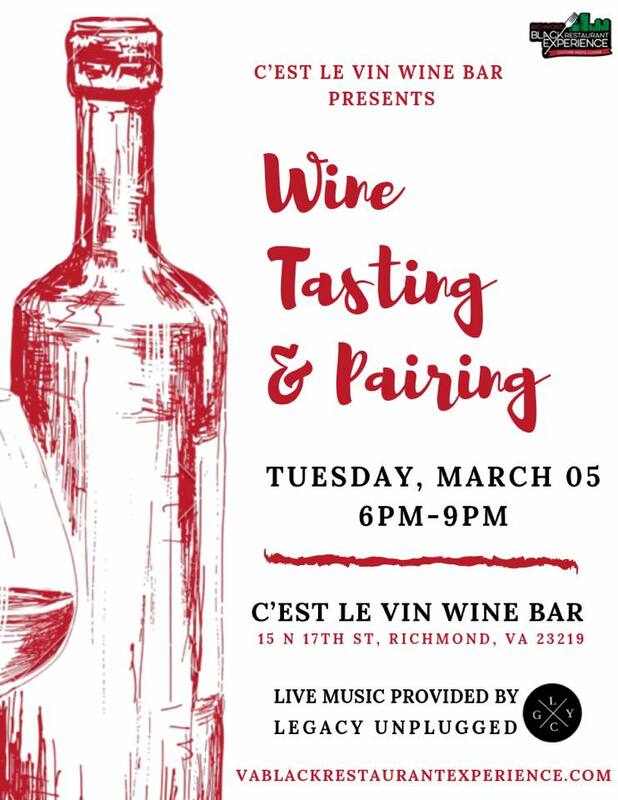 Not to mention RVAs own Dulcet Duo RVA will be creating unforgettable music vibes. While Justice Dwight will be creating visual art with his live paintings. So get your tickets now because we already have your seat at the table waiting for you. It’s simple. Pick one or more of our participating restaurants (especially one you haven’t been to before), grab friends and family, and go share a meal! Make sure you check their hours of operation and specials for the week. Earlier in the week is your best bet at less wait time and if you don’t have the time to wait, purchase a gift card/certificate and plan to come back! 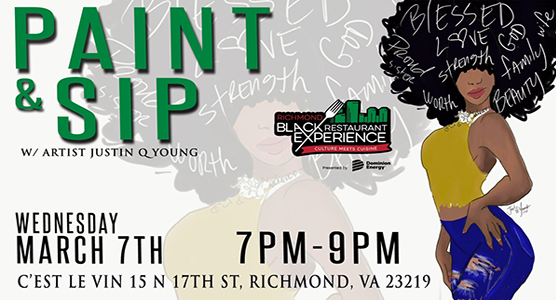 Thank you for helping us support and uplift our black owned restaurants in the area. It’s so necessary! Happy eating! Advanced Registration is Closed. Donations accepted at the door. Limited Capacity. iPower 92.1's Jackie Paige and DJ Nobe bring you, Zumba and Cocktails. Thursday 3/8 from 6-8p in the Mama J's event space. Music provided by DJ Nobe. $15 includes class and a signature cocktail. 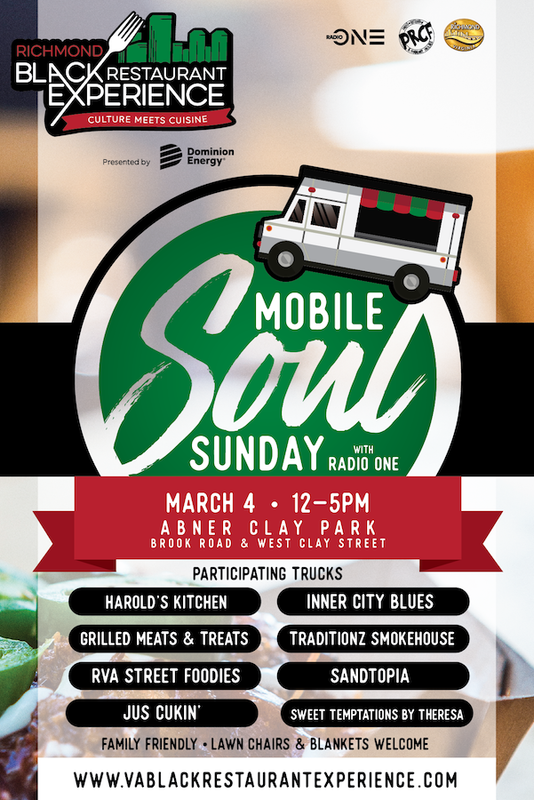 Join us at Abner Clay park, March 4th from Noon-5pm for Mobile Soul Sunday. The Black History Museum and Cultural Center will be open from Noon-4pm, so before or after you eat at one of our participating Food Trucks, enjoy a self guided tour for only $6! While you are there, check out the new ARTisan Café showcasing local artwork and other items.